just a step or so behind is not as rewarding, even resulting in loss. ultimately lead to higher prices. longer can elites keep their unnatural control over the natural forces of Supply/Demand? the developing “story” that explains why gold and silver have not changed trend. the entire Western political landscape. anything promoted by the bankrupt corporate government. and silver have had zero impact on the market. prices for gold and silver? Gold is about 13% and silver about 10% of projected prices. reasons why gold and silver struggle. Their “story,” while valid, is wrong. It is the power of the elites! botched assassination attempt, Reagan went on a huge federal government expansion. He got the message, “Play by our rules, or else.” He also got lucky. that these were not self-directed choices, in every instance. the natural order of supply and demand as the supposed source for determining price. the worthless fiat “dollar” as the elite’s chosen world reserve currency. dictates of unelected officials: all central banks, BIS, IMF, the EU, etc. dominance via fiat: fiat “dollar,” fiat Pound, fiat Yen, fiat Euro, fiat Franc, etc, etc. of the PM community], and the accumulation has been at bargain-basement prices. the West in suppressing gold during the last phase of their waning power. course. Here are some clues China has given that most PM analysts are not addressing. because it would immediately cause it to rally sharply. world and put China at a competitive disadvantage. West does not want gold to rally, that may be enough to keep the paper game alive. Consequently, do not expect China to be a catalyst for establishing a gold-backed currency. significant than all the demand statistics paraded each week by PM writers. their true status as money. The East is in progress of making a change. has zero involvement, other demanding Russia use US currency. “dollar” in all your trade agreements]. Russia has lots of natural gas resources. The US has lots of debt. gold and silver find their natural level. suffer, but they will be better positioned to survive the financial chaos sure to follow. [before it is lost], we expect warning signs to show up in the charts, first. was unable to extend lower. volume increased. Buyers were clearly in control for the day. sellers will become buyers to cover their losing position, adding to the buy side activity. were buyers of futures on the Wednesday rally at 1292.
the gains from February. That speaks to the validity of silver being in a support area. Wednesday’s rally, just over 20. 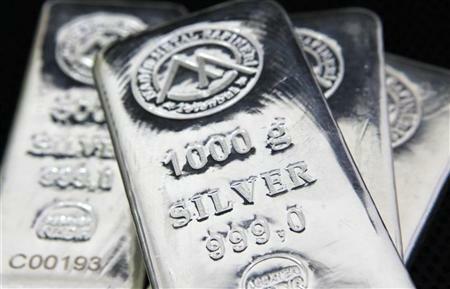 Gold And Silver – All Eyes On Gold And China When Silver Could Be The Tipping Point. Gold And Silver – Start Watching Fed’s Fiat “Dollar” More Closely For Clues Gold and Silver – Western Bankers [Forced] Bowing To China Gold And Silver – In East v West Gold War, Both Are Still Winning. 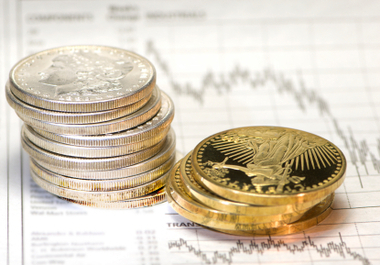 Gold And Silver – When Fundamentals Fail And Charts Prevail Silver – The Power Of Thought Will Ultimately Prevail.